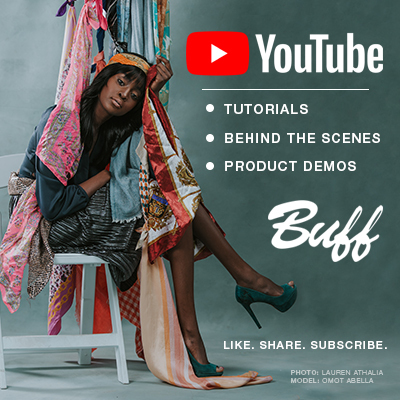 BUFF Ambassador, Jamie Boler, shares what all goes into making a memory when it comes to photographing senior portrait sessions. The first, in a four part blog series, focuses on Jamie’s process and what all is needed to set up a successful shoot! Communication, having a game plan, knowing and understanding your tools, the selection and retouch processes, these are the elements we use every session to create not only awesome images, but a seamless, stress free, amazing senior experience. These categories will be covered in the sections below. The process starts long before the actual session. Communication is key in developing a strong game plan that is unique to each senior. When meeting with your senior, the following questions will be great ice breakers and allow you to better understand what types of images they are looking for. What types of images they like? What types of images would Mom and Dad like? What do the outfit(s) look like? Are there any specific locations they would like? Knowing the answers to these questions allows us to create a more catered session, and images that they will love and be the best representation of who they are. We want our seniors to look at their images and say, “This is me!” Having a good tool for this is vital. We use a form we have developed that is emailed to our client prior to their session. We then follow-up with a phone call to answer any questions they may have. We also include tips and tricks for them as well. This is a good way to get them thinking about their session and about things they may not think about when it comes to preparing for their shoot. It is my hope, and your goal, to create something unique for each client. The information they provide gives us a great start in preparing for the shoot. More often than not there is always something that your senior will like, or an activity they are involved in, that will provide you with the opportunity to try something unique! Quick Tip: Remember when you are preparing, and shooting, that you need to provide a variety of images that will appeal to your senior, their parents, other relatives, and yourself! Having great gear is important factor in creating timeless images. 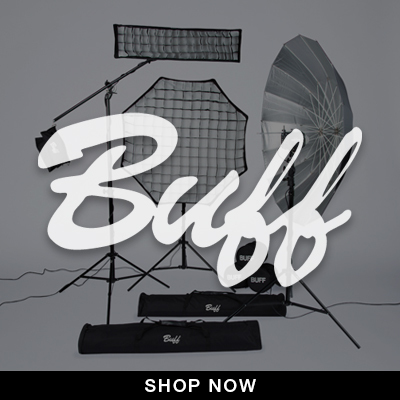 It varies from photographer to photographer, but my “go-to” gear consists of: (1 – 2) Paul C. Buff, Inc. Einstein Flash Units, a Rapid Box Switch Octa-S, (2) Vagabond Mini Lithium portable battery, and the Canon 5D Mark III. I do have some additional gear as well that may be substituted depending on the look I am wanting to create. Your set up doesn’t have to be a large production either. It can consist of trying a different lighting pattern, using some color gels, creating a multiple exposure…the list is endless! The important thing for both you as an artist, and for your client, is to continue to grow and evolve your craft. Once your session is complete, the next step is to schedule a time for you to review the images with your senior (and their family member/guardian). This may not be possible with all clients, but it is best for them to view the images alongside you, the photographer. Meeting with your senior helps get them excited about the images. Your able to showcase the photos in the highest quality and give them an opportunity to see, touch, and feel, all of the products that are available to them. Now that the selections have been made, the retouch process can begin! We work hard as creatives to get the look and feel we are going for in the camera. Retouching tools, such as Adobe Photoshop and Adobe Lightroom, are used to polish, refine, and even add some additional elements to the final images. These tools provide us with almost limitless possibilities of taking our images to the next level. Creating great images and experiences takes times, but the preparation is well worth it! This will make for a seamless and stress-free experience for not only your client, but for you as well. Up next in our series, we will go a bit more in-depth on working with your client to create images that everyone will be proud of! Jamie Boler is a Kentucky based senior portrait and commercial photography. Boler, alongside his wife Lindsey, own Red Elephant Studio.